Northland Parkcare Ltd are your local specialists and we strive to be the best in the Landscaping industry. Established in 2002, we have over 15 years of experience in the Northland region and have over 30 years experience in Horticultural Industry and over 20 Years in Council Approved Contracting. We are known for "exceeding expectation"
There is no job considered too large or too small! You'll find us in Maungatapere, so come and visit us or give us a call today! 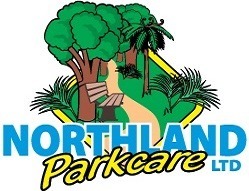 Northland Parkcare Ltd are the experts to call for all of your landscaping needs in the Northland region. From mowing, landscaping, section clearing to property maintenance - we can help!